Sculpture that moves with the gentlest current of air! Sculpture that makes you want to do a little tap dance of joy! Or maybe the Charleston – swing a leg to those sizzling Jazz Age colours and shapes and rhythms. Look, that’s the queen of the Charleston right there – the “Black Pearl” of the Revue Nègre, Josephine Baker. 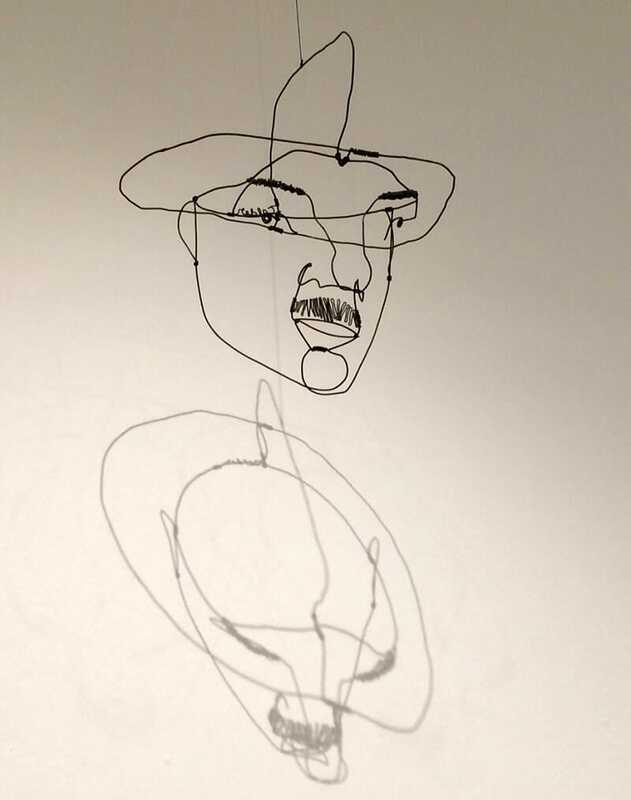 She’s a freestyle 3D doodle in space, fashioned out of wire: spiral cones for pert breasts, that sinuous waist described by a single serpentine line. What a callipygous shimmy. And who’s that with the Chaplin moustache? 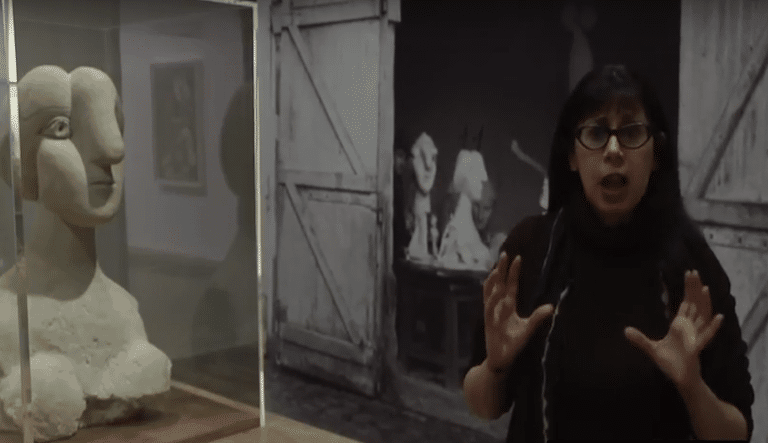 Why, it’s the head of Fernand Léger (pictured), casting anamorphic shadows on the wall. Léger not only put the glam into machine-age modernism but the immaculate sheen of pneumatic Tubism into dour Cubism. Arriving in Paris in 1926, a relative late-starter at 28, he soon, however, became the P.T Barnum of the artistic elite. Carrying his valises filled with tricks and sophisticated toys – circus figures fashioned from wire, wood, cork stoppers, clothes pegs and rubber and fabric – his travelling Cirque Calder was taken from one fashionable salon to another, and performed for friends, including Duchamp, Miró and Mondrian. What finally came about wasn’t “very fast” at all, but brightly coloured motorised globes within circular frames that moved slowly, suggesting planetary motion, or more spikily geometric pieces suggesting cosmic constellations. 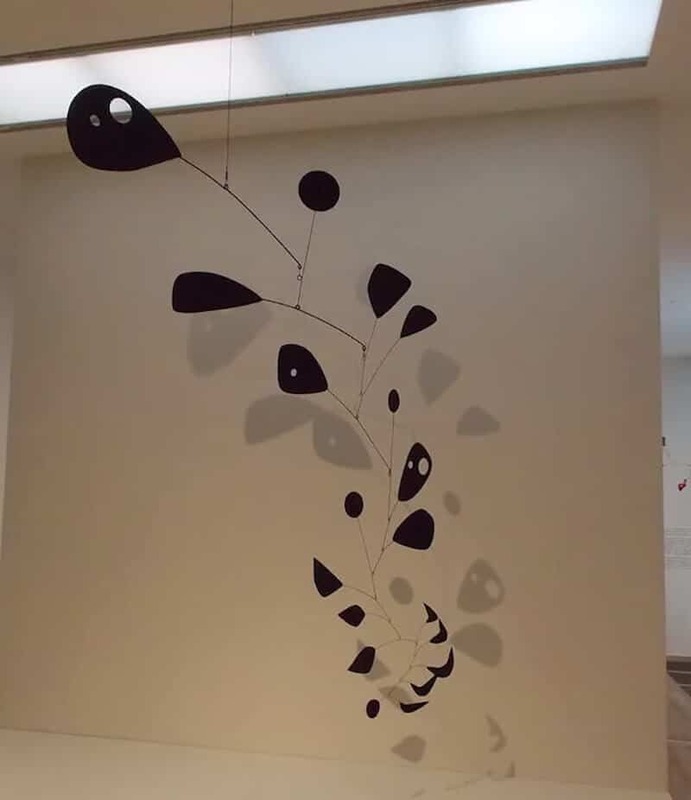 When A Universe, 1934, was first exhibited at the Museum of Modern Art, New York, Calder was told that Albert Einstein stood watching it for 40 minutes as it went through its 90 cycles of movement before it began to repeat itself. A Universe is one of the very few works stuck behind glass in this exhibition, and it’s now far too fragile to set its motor. Instead we have films of some of the mechanised pieces in elegant flow. But even with Calder’s later mobiles (it was Duchamp who invented the term for them; “stabiles” describe those fixed to the floor) the natural world is never far away. The matt-black Vertical Foliage, 1941, hints at a dancing, twirling silhouette of a branch with sprigs in full leaf. And there’s the even more surprisingly sombre Black Widow, 1948 (pictured), its paddle-shaped black fronds punctured like Swiss cheese. This last, a rare loan, is a 3.5-metre sculpture which normally hangs in the central space of the Institute of Architects of Brazil in São Paulo. Here it hangs alone in the final room of this rich and revelatory survey.